Spring has finally sprung! 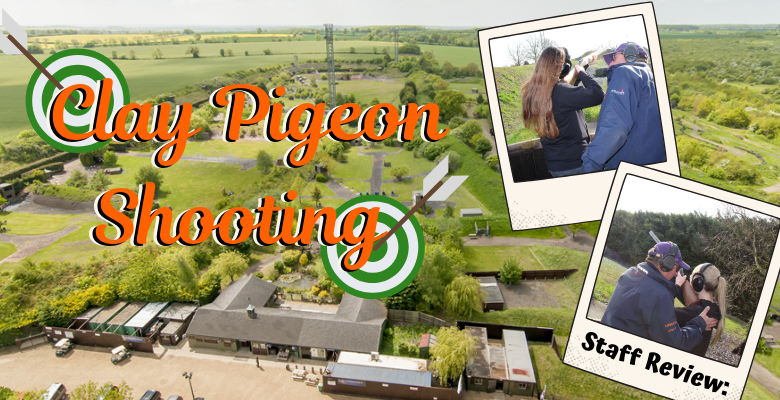 The sun was shining as Gemma and I travelled up to Sporting Targets in Bedfordshire to take part in a Clay Pigeon Shooting experience. We couldn’t wait to get outdoors for the day! Sporting Targets is tucked away in the countryside, mainly to reduce the risk of noise to their neighbours, but also to take full advantage of the beautiful 40-acre complex. 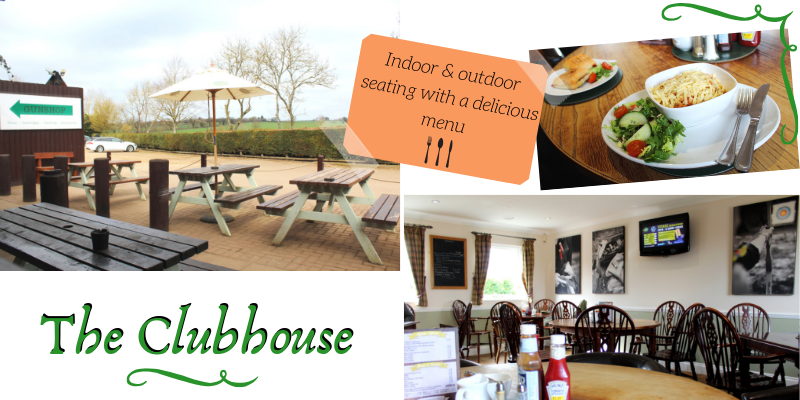 Being one of the largest and top clay pigeon shooting clubs in the UK, we were thrilled to have been invited. Once parked up we ventured into the clubhouse fronting Sporting Targets. As we were a little early, we were shown to a comfortable seating area where food and drink was available. We tucked straight into the deliciously affordable menu. Gemma chose a pesto and mozzarella panini, whereas I went for an overly tempting jacket potato with beans and cheese…to say the least we were not disappointed, huge portions brought out with a side salad, Yum! Once lunch had finished, we were introduced to John, one of the coaches, who would be taking us for our experience today. His friendly welcome and outgoing persona put us right at ease, ready to enjoy clay pigeon shooting at our own pace. John then took us outside into the sunshine for a short health and safety briefing, before handing us some goggles and ear-defenders. 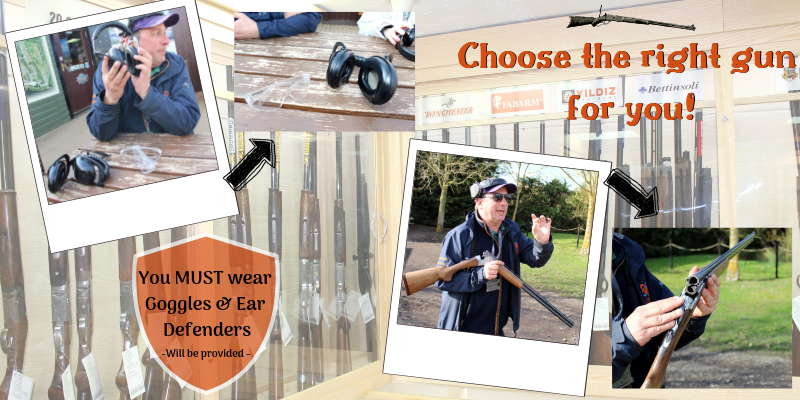 Eye and ear protection are key in clay pigeon shooting to avoid any clay shards getting into your eyes or any loud bangs damaging your ears (better to be safe than sorry!!). Into the Gun Shop located next to the clubhouse, we were introduced to a range of shot guns. Everyone is different so work with what feels most comfortable for you. Once Gemma and I had chosen our gun, we were set! There are plenty of clay grounds in the complex, depending on your group size and ability will depend on which ground you shoot on. As beginners, we started off at a suitable open ground with full visibility. 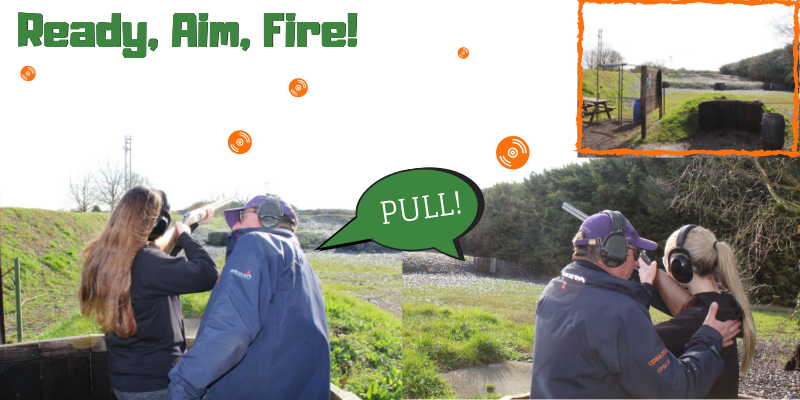 John then gave a quick overview to how clay shooting works, including tips on how to hold, load and aim the gun. Once we were confident, John explained that professionals would normally say 'PULL' to release the clay which we decided we would also go ahead and say. Gemma up first took her stance, aimed, and BANG, she shot her first clay!! After a few more 'PULL's, the second positioned clays were released, a little trickier but again she got the hang of it. I was up next, if you know me, you’ll be as surprised as I was… I did hit the clays, not one, not two, but three in a row! Even John was impressed and said at this stage we would be upgraded to the advanced grounds where we could really test our ability! 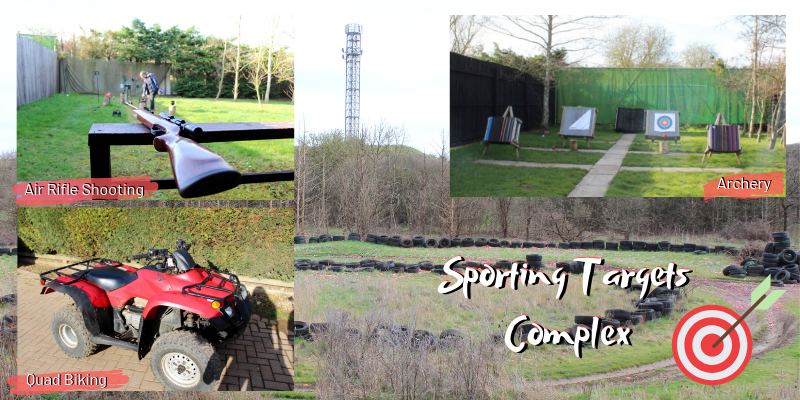 Sporting Targets are great at applying your ability to the correct grounds so you can get the full experience out of your session. Once we had a full session of clay shooting, John wanted to introduce us to the rest of the complex which is available to paying customers. First up was air-rifle shooting, held in a contained walled area filled with plenty of targets to hit and pellets ready to fire! Archery was next-door and had a similar setting. Both compounds had an area to stand or sit in from behind the shooting range. Quad biking is also an option for the more adventurous, ride along the rocky scenic tracks at the back of the complex for a real thrill! As we returned our guns, we thanked John for a brilliant introduction to clay pigeon shooting. 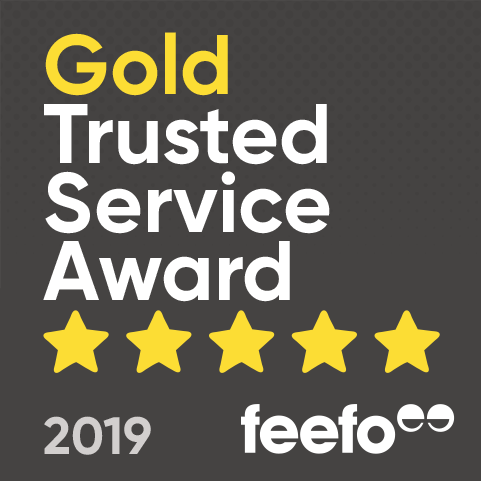 It was something we both thoroughly enjoyed and would most certainly want to try again in the future!